Last edited by Hands On; 05-02-2018 at 09:13 PM. Have a front lower valence for free. Will not be keeping it long, so if you want it act fast because I will be junking it soon. Condition can be seen in the below pic. Last edited by Hands On; 03-13-2018 at 12:51 AM. Free turn signal lenses! Pair on the left. They're faded and have some stone chips and each have a chipped corner. OE Nissan not repros or aftermarket. These are for '93-97 Hardbody. Not sure if they fit the earlier bumpers. They will fit all years. Last edited by Hands On; 03-24-2018 at 02:20 AM. Last edited by Hands On; 06-21-2018 at 10:34 AM. 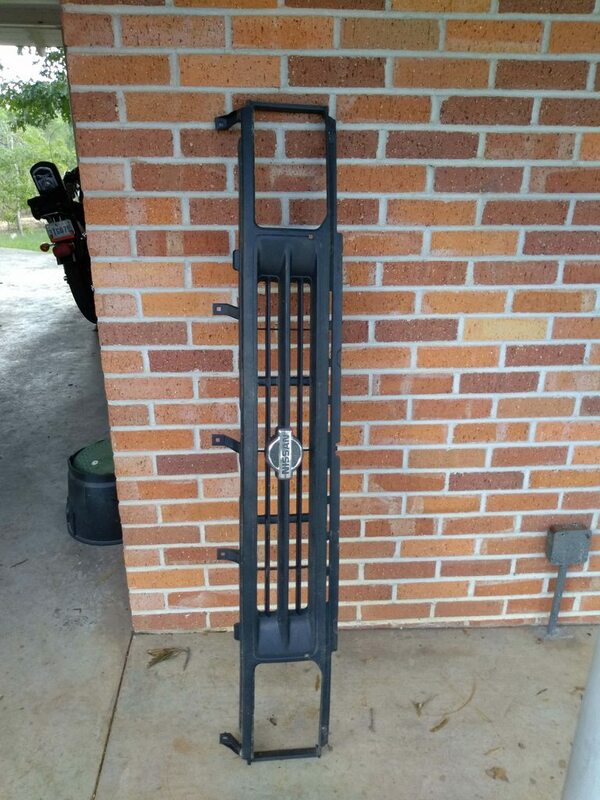 Free pair of OE door speakers from '97 Hardbody. Not blown but the whizzer cone got a little wrinkled up somehow. Should fit in a USPS padded flat rate envelope for like $8 or $9 shipped. I've got this grill I bought from a guy on Facebook Marketplace, but it certainly doesn't fit my 1994. 86.5-95 pathy corners and lights. I believe its 88-89 for the Hardbody. You would need pathfinder headlight assemblies, headlight pigtails, and corner lights. I’m pretty sure that specific grille was from a pathfinder. My 88 and 89 hardbodies didn’t have a rounded emblem in the center of the grille. They had just the word Nissan in the lower right corner of the grille. Enough said. I'm not interested in all that work for something I may or may not like. I don't have a box big enough to ship it in, but if you are close - it is free to take.